Firefox OS continues to heat up, and this week LG unveiled its first entry in the fray: the LG Fireweb, available now in Brazil. The Fireweb is more advanced than previous Firefox OS handsets like the ZTE Open and the Alcatel Onetouch Fire, but that comes at a cost. LG is selling the Fireweb for $449 BRL (about $205/£127/AU$213) for pay-as-you-go customers or $129 BRL (about $59/£36/AU$61) for subscribers. That's more expensive than other Firefox OS phones, and even more expensive than LG's cheapest Android phone, the Optimus L3 II for $399 BRL ($184, £90 SIM free, about AU$191). Firefox OS is an open mobile operating system designed by Mozilla to be powered by HTML5 and the web rather than apps purchased in walled-off marketplaces. But are the LG Fireweb's superior specs worth the extra dough compared to its alternatives? LG's first Firefox OS device has a 4-inch HVGA TFT display, a 1GHz Qualcomm processor, 2GB of memory, 4GB of storage, 3G support, and a 5-megapixel camera. 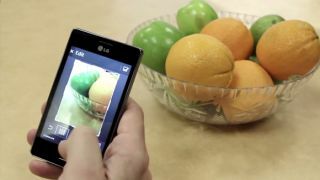 Those five megapixels and slightly bigger screen are what sets it apart from the other Firefox OS phones on the market. The Fireweb is also the first Firefox OS phone with both LED flash and autofocus, according to Engadget. But clearly it's still an entry-level device, and Mozilla isn't being shy about that fact. "Considering its features and price, Firefox OS offers a great value package for customers looking for their first smartphone," reads a press release the company sent out today. It continues, "The launch of Firefox OS in Brazil is a milestone for the country's mobile industry, increasing the number of design options for intelligent devices [smartphones] and operating systems at affordable prices, based on open standards." In addition to Brazil, Telefônica Vivo will launch Firefox OS devices in Peru, Uruguay and Mexico "in the coming days," according to this week's announcement. Meanwhile the first Firefox OS device from Sony is expected next year. We asked LG if they have any more images of the Fireweb, and we'll add them here if it does. Mozilla on Firefox OS: "what we're doing has a very good chance of working."